Not to be confused with the North Klondike Singletrack loops, the Klondike Bluff trail is a classic ride and 4x4 route that features dinosaur footprints and an extra little hike into Arches National Park. Start heading up the road from the parking area at 2.8 miles. 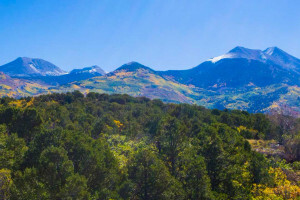 For bikers, this section also offers access to the North Klondike Singletrack trails, and there are a few parallel singletrack trails to bypass the sandy road. At 0.5 miles you'll start to see signs for some of the Klondike singletrack trails. Just keep right and continue along a bumpy road towards a huge area of slickrock. Keep watch for dinosaur prints in the slickrock. 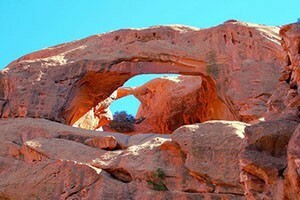 Stay on this slickrock route until you get to the border of Arches National Park. Park your rig or bike here and continue on foot to an awesome viewpoint overlooking Arches National Park and the La Sal Mountains. Distance: 9.6 miles round trip plus 1 mile hiking. Trail Type: Out and back. 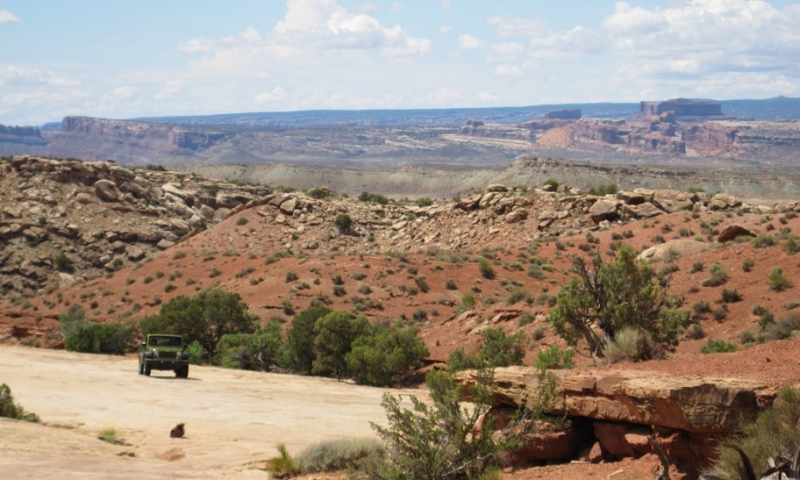 Trailhead: From Moab, drive 15 miles north of the bridge over the Colorado River. There will be a Klondike sign and turnout on the right. Cars will be parked here but continue for 2.7 miles and stay left at the fork. At 2.8 miles, park at the gate and start riding.